An outstanding, beautifully refurbished and extended period farmhouse with studio apartment, garaging, offices, outbuildings and land. 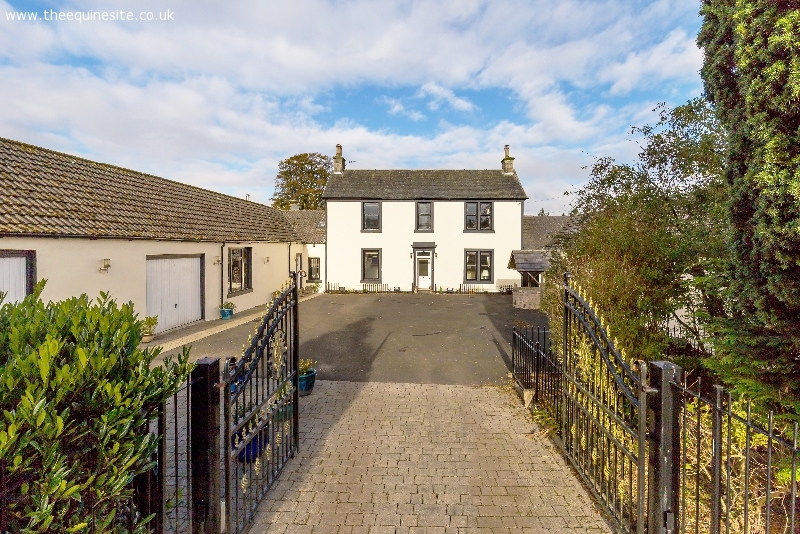 It lies within a scenic setting quietly situated on the edge of the historic market town of Strathaven, South Lanarkshire. Comprising 20 acres of useful grazing land divided into several fenced fields and paddocks to the north of the house, the property offer considerable scope for equestrian or other livestock interests. Additionally there are two garages and a self-contained studio flat, with open plan living room/bedroom/kitchenette and separate shower room. The home office which is converted from the former farm buildings, currently provides two offices, kitchen and wc.